Airwolf The Movie is a futuristic high action adventure about an awesome billion dollar helicopter equipped with a twin-turbine drum rotor system capable of propelling it to 300 knots, plus 14 firepower options. 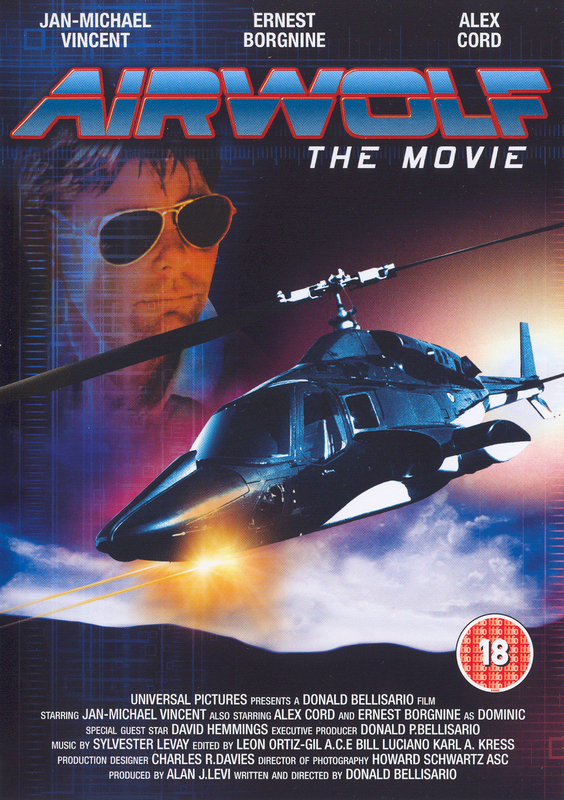 When the helicopter is purloined by Libyan mercenaries, Michael Archangel (Alex Cord), project director of the CIA, enlists the help of Vietnam veteran Stringfellow Hawke (Jan-Michael Vincent) and his father's best friend Dominic Santini (Ernest Borgnine) in an attempt to recover the Airwolf. 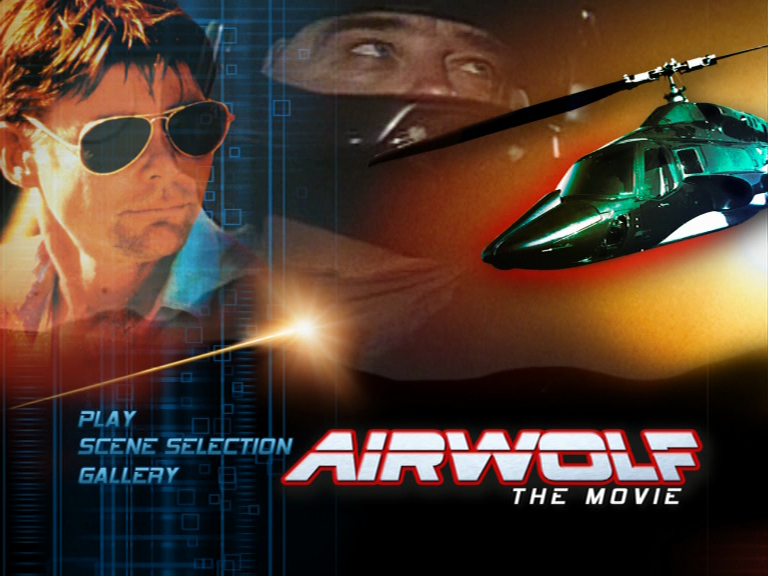 A deadly mission takes them to the Middle East, where they come face to face with the enemy in a dirty battle to repossess the deadliest aerial weapon ever made. 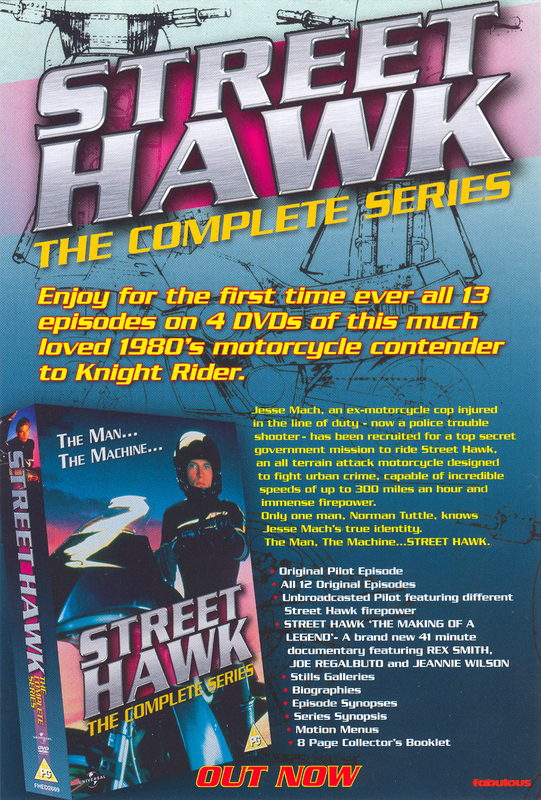 And also the Columbia House Collection which was a form of "collect one a month" from a Video & later DVD publishing house a bit like Britannica, although im unsure if they officially released the R18 movie version, as i have yet to see a Columbia House dvd or vhs cover for "the movie" that didn't look doctored in a image editor, meaning the Movie CH DDVD is no doubt just the pilot cut. 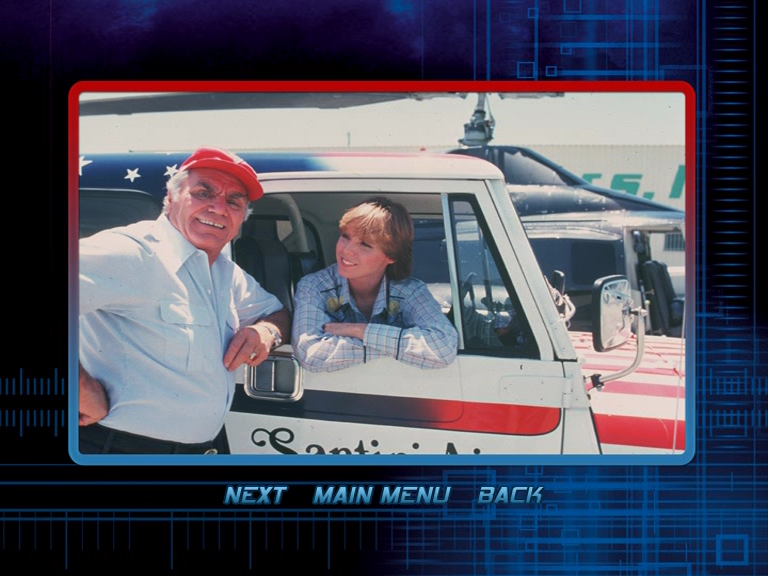 Sadly this UK Region 2 Release didn't come with the "Ernest Borgnine" Interview as the R1 USA release did, but it did come with what they falsely represented as a "Stills Gallery" And is in fact more of a "Publicity / Behind The Scenes Photos" which shows some photos many of you will of seen before and also photos many of you have not seen before. I have yet to see just how many photos are on the R1 release, but this UK R2 release contains 107 Photos in the gallery, at least 5/6 i had never seen before, although i had seen variations of 3 of them. 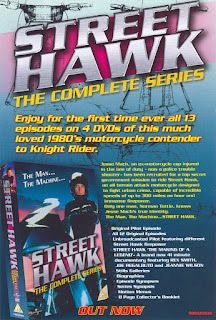 You may of also noticed that the USA R1 release also has Santini on the box front unlike the R2. 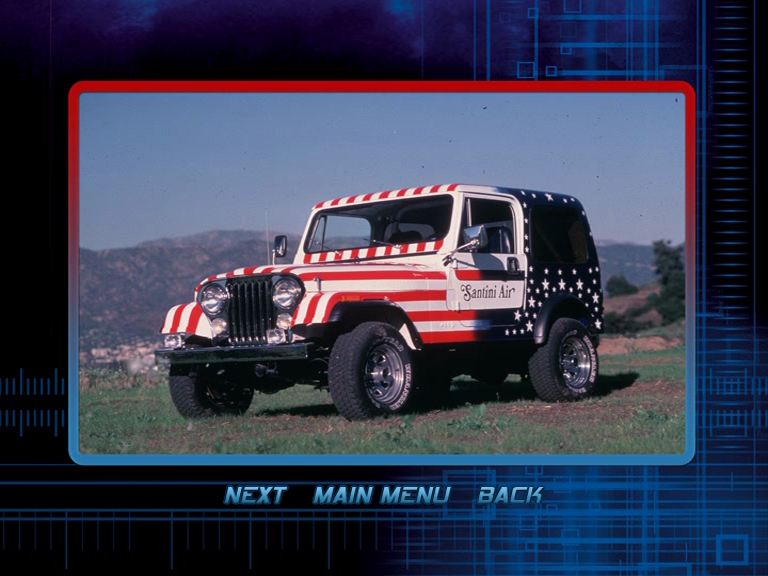 The UK R2 release has a partial animated menu that plays behind the main screen, the music on that is Gabrielas theme from when they fly over whats left of moffett's smoking jeep. 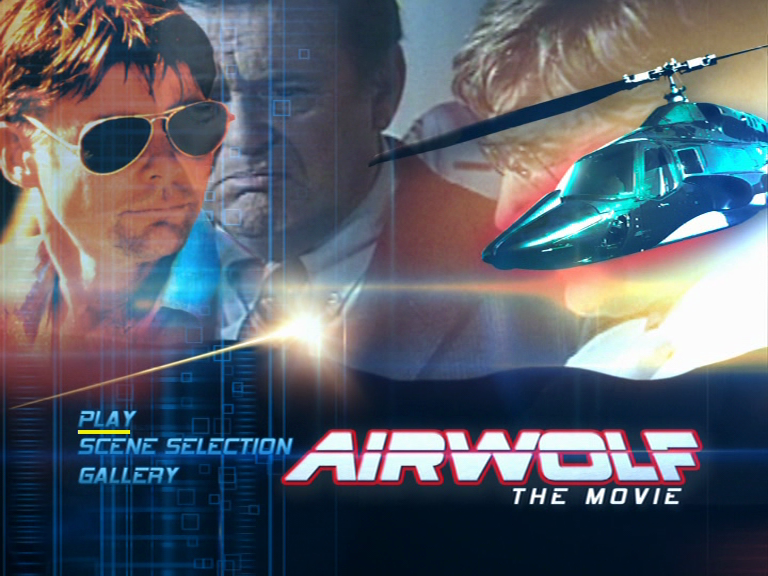 Why Own The Movie Version? 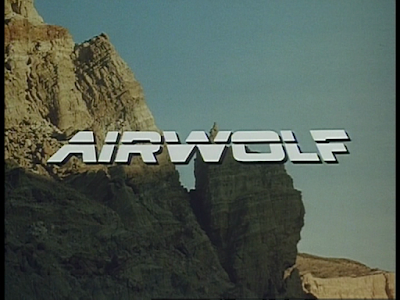 The movie is rated 18+ and contains swearing, it also featured a few extra scenes padding out the action. 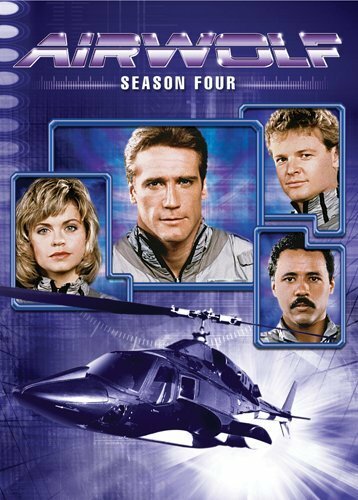 It was also cut in places removing the pilot ending at the cabin, so when Airwolf fly's over the water at after hunting Moffet, it ends right there, But the pilot edition shows hawke back at the cabin with a visit from archangel leaving him with a case for the series to begin. 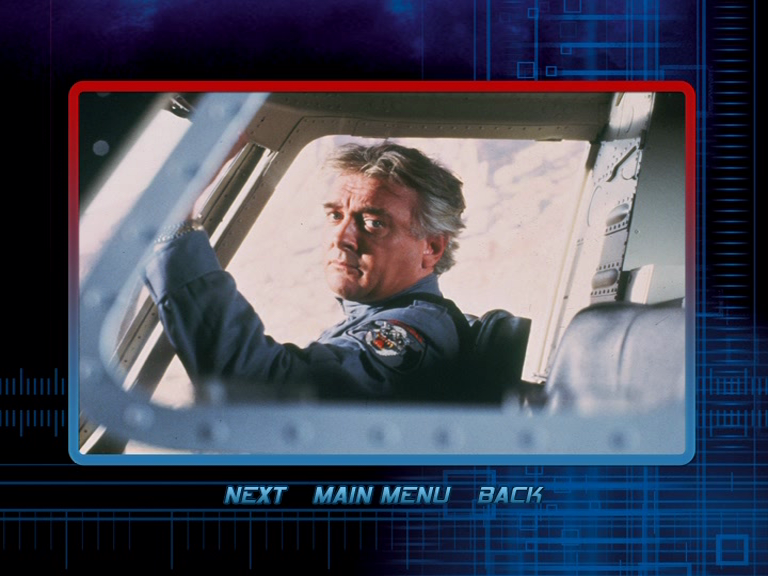 The Redstar start up sequence also features a different music score in the Movie Cut. The movie is shorter than the pilot, but can be watched as a stand alone film that ends where it ends. 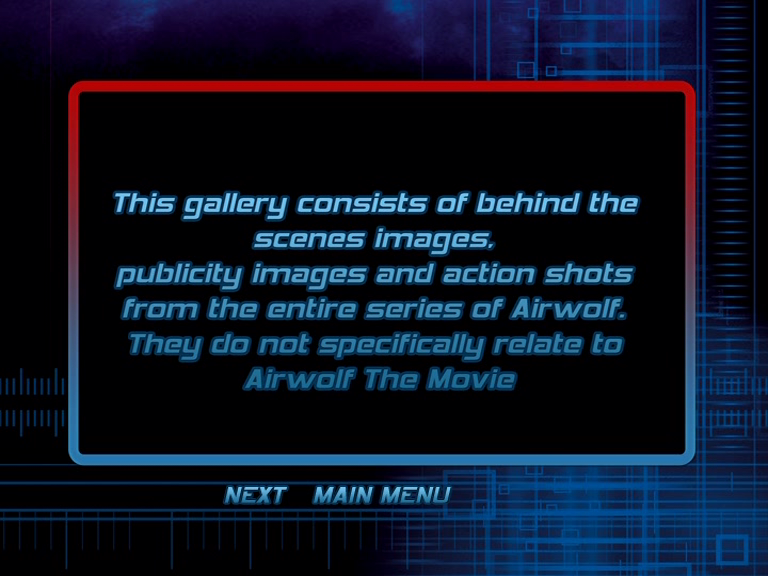 Please be aware this release is Not remastered..
For other information on the R18 movie, read here. 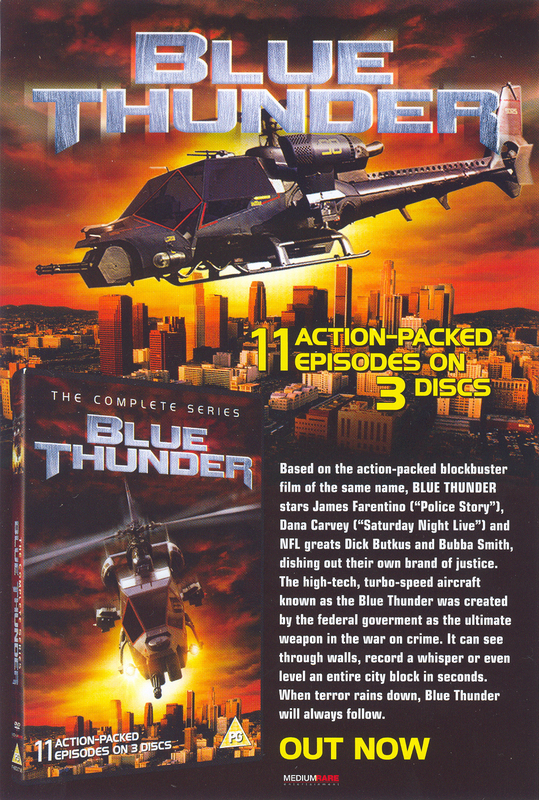 This is the USA, Region 1 release in NTSC. 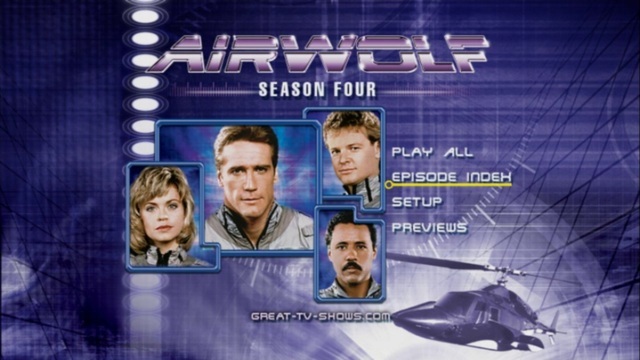 The box design matches the season 1,2 and 3 release unlike the original Region 2 Release for Season 4. 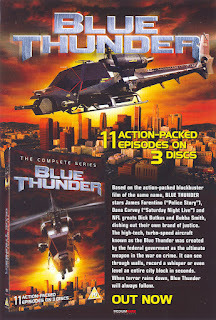 No extras again with this release and 2 episode teasers are missing, the one from "Salvage" and the one for "On the Double" I am unsure why that is the case because i have them on VHS, they are out their.